New Delhi wants concessions from Beijing before it will once again publicly support the “One China” principle. Given Chinese foreign minster Wang Yi’s largely effusive experience in New Delhi earlier this summer, relations between Beijing and New Delhi appeared to sailing smoothly in 2014 following a rather turbulent 2013. However, recent comments by Indian officials may have rocked the boat. Speaking in New Delhi on Monday, Indian External Affairs Minister Sushma Swaraj emphasized a linchpin of India’s policy toward Beijing: “For India to agree to a one-China policy, China should reaffirm a one-India policy.” Ostensibly, what Swaraj means by a “One India” policy is an acknowledgment from Beijing that Arunachal Pradesh — a territory in India’s northeast administered as a state by the Indian government but regarded by Beijing as South Tibet — is a part of India. “When they raised with us the issue of Tibet and Taiwan, we shared their sensitivities. So, we want [that] they should understand and appreciate our sensitivities regarding Arunachal Pradesh,” Swaraj added. Funnily enough, India’s last Bharatiya Janata Party-led (BJP) government under Prime Minister Atal Behari Vajpayee made a point of emphasizing that India acquiesced to a “One China” policy — an effort to sow better relations with Beijing. In 2010, analysts noted that a joint statement signed following a high-level meeting between India’s former prime minister, Manmohan Singh, and China’s former premier, Wen Jiabao, omitted any mention of India respecting the “One China” principle. Back then, New Delhi pressed Beijing to acknowledge Kashmir (not Arunachal Pradesh) as an integral part of India in exchange for a declaration of support for the “One China” principle. Beijing refused out of consideration for its “all-weather friend,” Pakistan. In 2013, India further extended its ambiguous position on the “One China” policy by refraining from including Tibet in a joint statement. Earlier this summer, when Xi Jinping dispatched Foreign Minister Wang Yi to India to sow closer relations with Narendra Modi’s government, Swaraj alluded to the idea of requiring Beijing to back a “One India” policy — though she did not clarify what that meant at that time. According to the Indian Express, Swaraj closed a discussion with Wang with the following statement: “Mr. 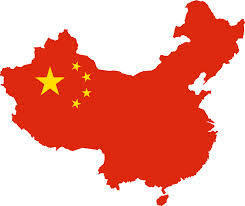 Minister, we support the One China policy. However, we expect you to also have a One India policy.” At the time, that statement did not seem to draw a pointed response from Beijing. Wang’s visit was, instead, regarded as a sign of better things to come in India-China relations in the Modi-Xi era. The meeting between the two leaders themselves this summer in Fortaleza, Brazil, on the sidelines of the BRICS summit, was similarly free of this issue. China’s insistence that countries establishing formal diplomatic relations with it endorse a “One China” stance has been critical to Beijing’s foreign policy. The policy refers to the position that states conducting bilateral diplomacy with the People’s Republic of China (or conversely the Republic of China) acknowledge the existence of one state called “China.” Simply put, pick one: Beijing or Taipei. India, for its part, maintains formal diplomatic relations with Beijing and not Taipei, but has been hesitant to symbolically support the notion of “One China.” Normally, Beijing is highly sensitive to this issue, but so far it hasn’t become a major issue between India and China under Narendra Modi’s government. With Xi Jinping’s visit to India later this month, we’ll have a chance to see if Modi returns to the Vajpayee-era status quo. The most likely scenario is that both sides avoid this issue. China will not publicly recognize Arunachal Pradesh as Indian territory. Given that Swaraj has publicly outlined this as a prerequisite for India publicly supporting a “One China” stance again, the issue may be gridlocked barring broader improvements in bilateral relations, including a move toward permanently resolving border disputes.